The Power Rangers reboot movie released a week ago. So far it's received mixed reviews and ratings, but one thing it's done for sure is create nostalgia for a lot of fans. 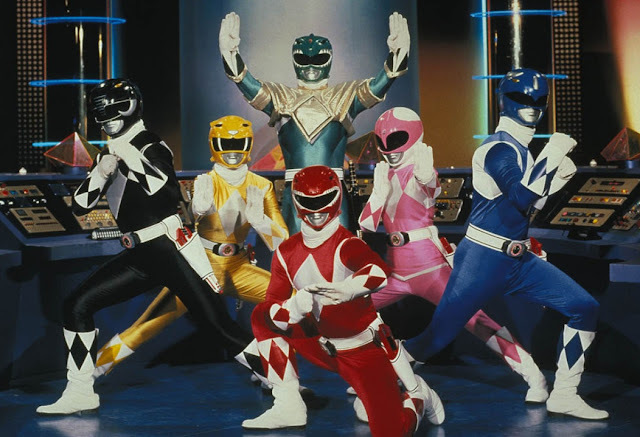 The film centers around the origins of the Power Rangers team, which also, however, sets the stage for a new generation of Power Rangers fans. But what does a seasoned fan think of the film? And what about someone who is new to the franchise? We're here to let you know what we thought of the new Power Rangers film. Get ready because it's... MORPHIN' TIME! Minor spoilers for the film and the Power Rangers franchise included below. I have a confession to make: I've never seen anything related to Power Rangers. I know, I know... it's surprising since I adore all kinds of superheroes, and the Power Rangers are definitely a kind of superhero. I grew up knowing what they were, playing it in the backyard with the neighbor kids who were obsessed with it, and having a general idea of who the Power Rangers were: a bunch of people in colorful suits that probably save the world with awesome skills. But I had never seen a Power Rangers episode. 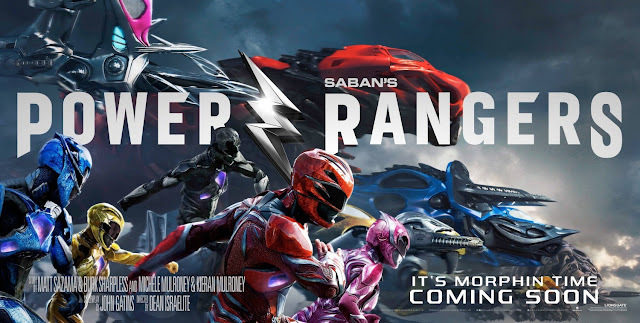 Thus, when Kelly begged me to go see the Power Rangers reboot with her, I thought, "Why not?" The previews I had seen seemed interesting, I liked the diversity of the cast, and I was curious what it was all about. Not knowing what to expect, I settled into the movie theater seat and allowed myself to be introduced to this new world, this new concept. While Power Rangers was an origins film--and stuck pretty close to that kind of story arc--it definitely had its moments and a lot of merit. The cast was great. It was diverse in many different ways, and I thought each actor presented their character well. I mean, we got a movie where there is only one lead Caucasian guy, a character who is autistic, another who is LGBT, and a Chinese character who speaks Chinese! What a world we live in. I mean, who would have thought that Power Rangers would surpass Marvel and DC in diversity for a superhero film? The special effects and cinematography were cool, and the story was simple enough for a newbie like me to understand but also exciting enough to keep me interested. (Who knew the Power Rangers got their abilities and suits from strange, alien rocks? Apparently every other kid who grew up in the 90s and early 2000s.) Plus, they had giant-dinosaur-and-other-prehistoric-creatures-slash-robot suits. Where has this been my whole life? Of course, there were cheesy elements. There were even moments where it felt cliché, but I also felt there were a lot of new elements, necessary elements, in the film. There are hints of romantic attraction between characters, but it never pans out, which was kind of refreshing. Many of the characters have made horrible decisions that hurt a lot of people and thrust their normal, living-in-a-small-town lives upside down. But each character is able to come back from those decisions on his or her own terms. Not someone else's. There were moments that were heart-wrenching, moments that were gosh darn hilarious, and moments that were just freaking exhilarating. It was the interactions of the characters, however, that grounded this film and gave it purpose. The characters find themselves, some even find redemption and forgiveness, and most importantly, they find each other. They come together to fight the villain, and I think that's the most powerful message the movie could make for our world today. I want to preface this with the fact that I started watching Power Rangers when I was three years old. (Don’t worry, I did my research and confirmed it with my mom.) 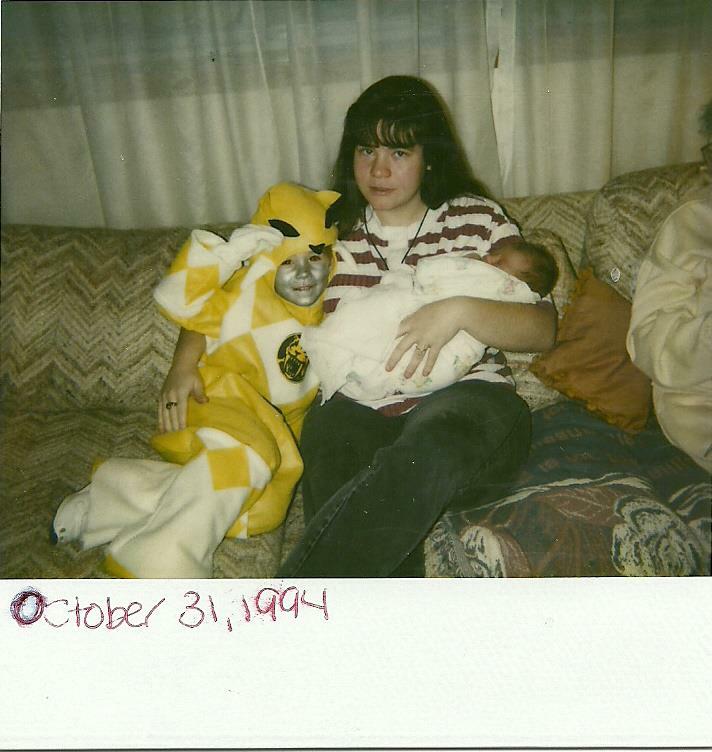 I was an avid fan and had many Power Rangers birthday parties and action figures, even dressed up as the Pink and Yellow Rangers for Halloween. So, when I saw they were making a new Power Rangers movie, there was a part of me that was a little worried; after all, this show was a good portion of my childhood, and I wanted it handled with care. So, I begged Jaime to go with me and desperately hoped that it wouldn't be terrible. Kelly as the Yellow Ranger. I needn’t have worried, for it was a one-way ticket on the nostalgia train. They kept the setting in Angel Grove and they kept original characters’ names. They had Zordon, Alpha (he said "aye-yi-yi"), Rita, and even Goldar (though, he wasn’t a warrior serving under Rita but a gigantic, solid-gold monster). Of course, the Zords were kept, and even the Rangers’ outfits were slightly similar to the original. But what really got me was the anticipation I felt waiting for them to transform. Morphing was done a little differently in the movie. Instead of having their transformation with the Power Coins and belt buckle Morpher, we instead had glowing alien rocks (which were awesome looking) and the requirement of connecting with the team. Sure, adult me understood I had to wait... but childhood me, she was getting antsy. The characters, though possessing super strength in human form, do not have the complete capabilities of Rangers until they morph. Each time they failed, they were sent to a training place called the Pit (we all hate the Pit) in hopes that they’d learn to work together. Every time they tried, every time they failed, the anticipation built. I kept thinking, “Is it time? Will they transform?” and when they finally learned to work together, and when Jason shouted “It’s Morphin’ Time!” I could finally breathe out. I was elated when the Mighty Morphin’ Power Rangers’ theme song blasted during the Zords’ scene, and I jumped out of my seat when a few of the original actors made a cameo. 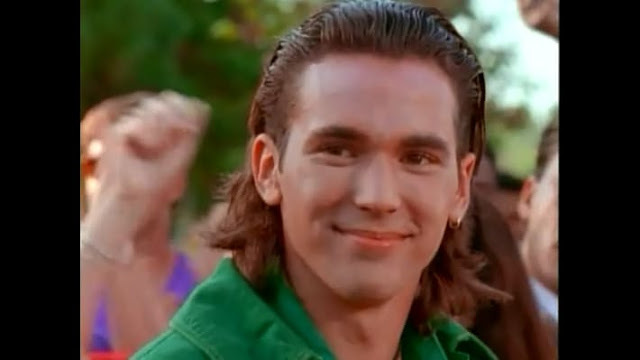 But there was still something missing: Tommy Oliver. Part of me knew he wouldn’t be in the first movie, but I was hoping they’d at least mention him. No luck... until the end credits scene. Even if it was only a teacher in detention saying, “Tommy Oliver” a half dozen times, I still wept golden tears of fangirl joy. Nostalgia aside, Power Rangers (2017) was a solid action movie threaded with comedy and heartfelt moments. It had multi-layered characters who dealt with real issues, such as bullying, parental disappointment, family illness, and acceptance. The Rangers were diverse. (I know, you’re thinking, in a Power Rangers movie? But it’s true!) It included teens who were LGBT, Chinese, and autistic (WILD APPLAUSE for Power Rangers’ progression). Even the pacing was superb, especially since the main characters find out about their powers early on. Really, it was a mixed bag of action, silliness, and feels. Whether you’re a newcomer or long-time fan of Power Rangers, I believe you’ll be able to enjoy this movie. And just like the original message of Power Rangers, that of normal people doing extraordinary things, this flick is a lovely addition to the Ranger legacy, made even more powerful by addressing real world issues and having diverse representation. As a Power Rangers fan I say, “Go, go, Power Rangers” and thank you to all those responsible for making this movie possible. What did you think of Power Rangers? Fangirl with us in the comments below!